Mecca renovations: Centuries-old buildings bulldozed for new developments. Foreground: the Kaaba, toward which Muslims everywhere in the world pray. Background: the massive Makkah Royal Hotel Clock Tower. 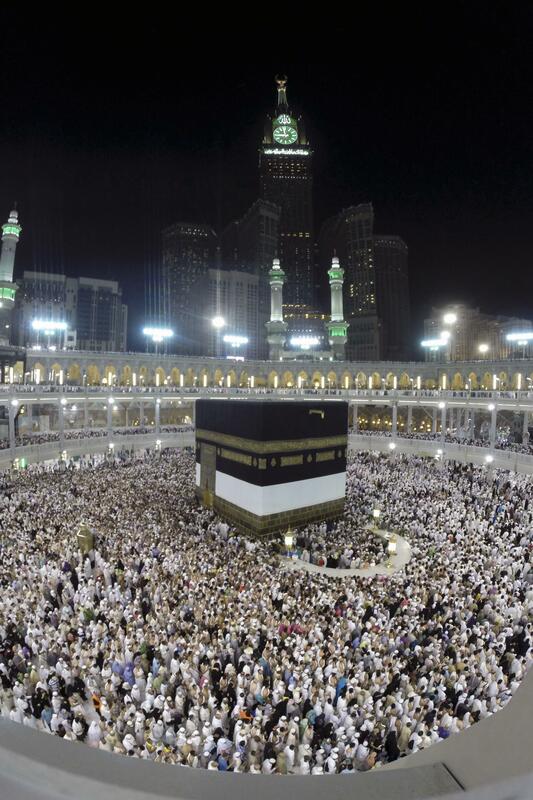 Pilgrims performing the hajj this week will search in vain for Mecca’s history. Given the general association between religion and tradition, the number of historic sites that have been demolished in Mecca to make way for development is shocking. The clocktower skyscraper described above is on the site of a 1781 fortress. Houses belonging to one of Mohammed’s wives, one of his closest allies, and his grandson have been torn down to be replaced by bathrooms, a Hilton, and a palace, respectively. Why? Mecca, Sardar explains, is controlled by Saudi interests whose philosophy combines modern materialism with the religious belief that historic sites promote idolatry. (The company performing much of this construction? The Saudi Binladin Group.) Read the whole piece here.